This where I live It is very peaceful here. 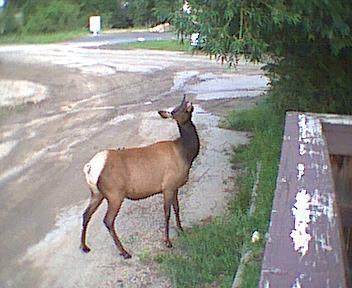 They say that once you have come to Estes Park, Colorado that you will be back. Well this is very true as I have come back. I came here in the early`s 80`s and 9 years later I came back. 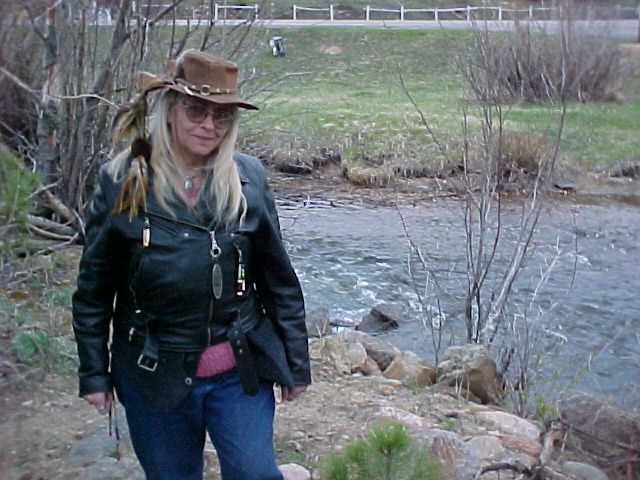 You can see the Elk right where I`m standing in this picture. They come too drink and eat and have there young. They have them about the last of May. In the fall the young play and chase each other. If your here for a while you change because your in nature. I been here for almost 2 years I have changed. You see nature as it really is. Seeing the wild life and how it is here and it is beautiful. Some day maybe in your life time you may come here and see the things that I see and you will change likeI have. When you go in the mountains it is so quite and you just hear the peace of nature. You might be by the river just hearing the water going over the rocks. There is nothing like this place that is so at peaceful. It is that way for me. This is the Creator`s place and if your very still maybe nature will talk to you. But thats up too you! May you be guided in your life to a peaceful place in your life. Many Blessings to all !! !